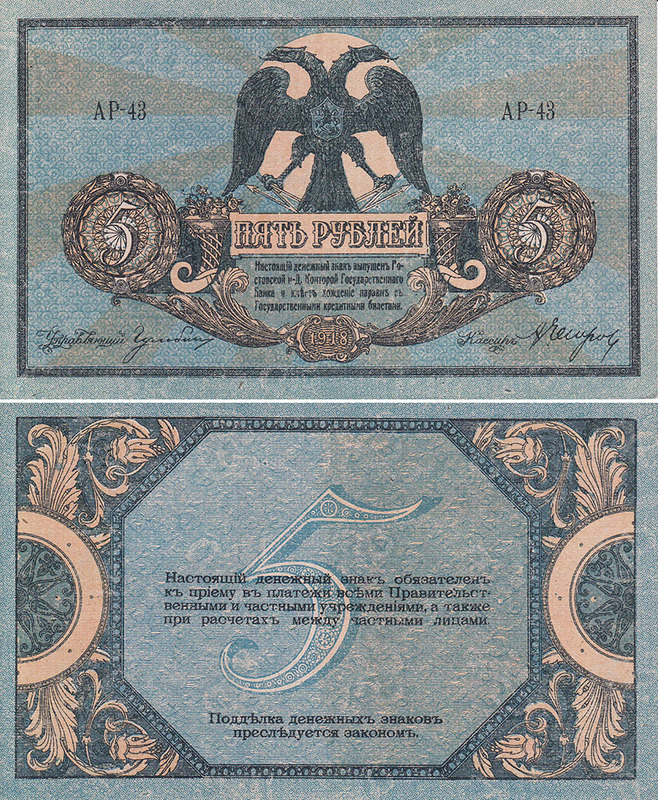 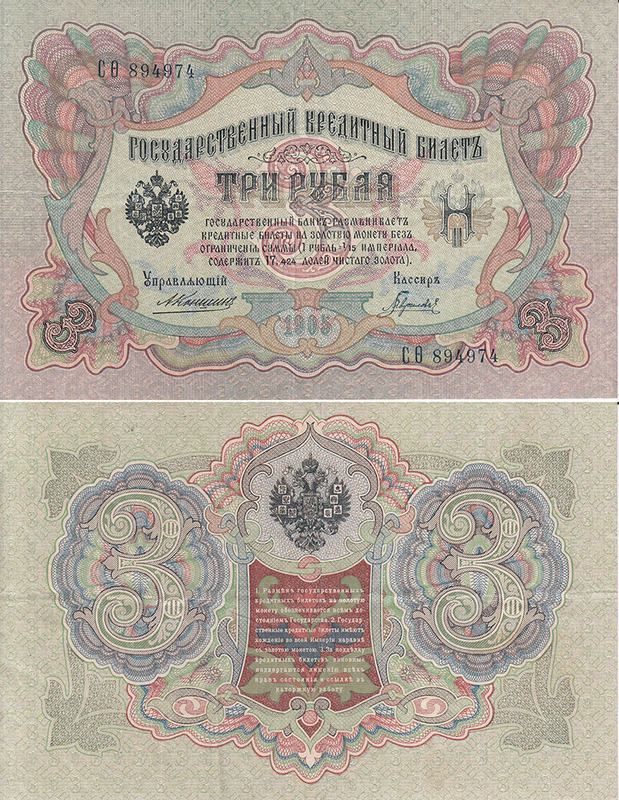 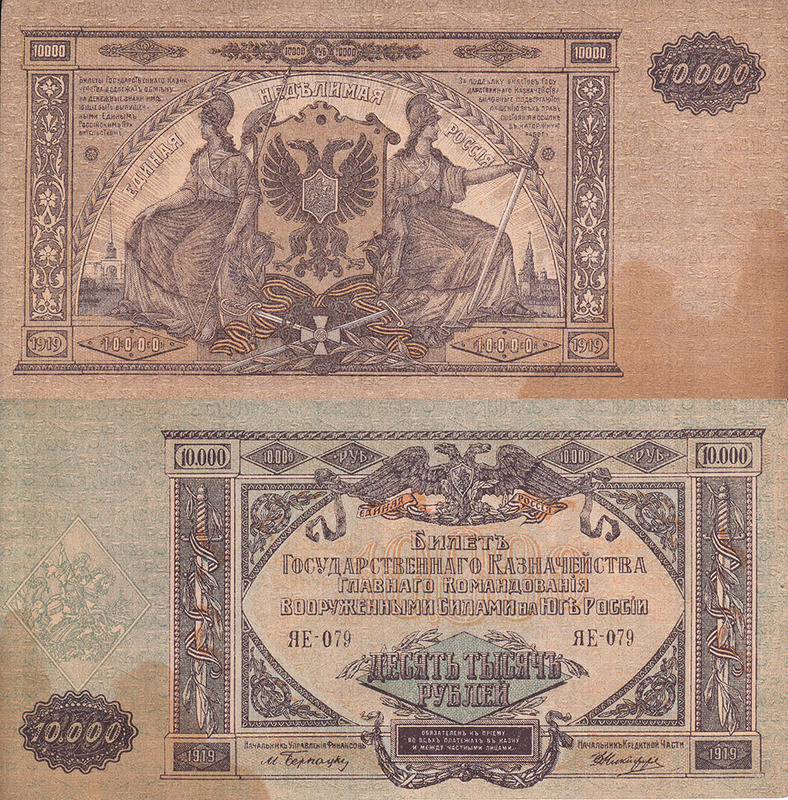 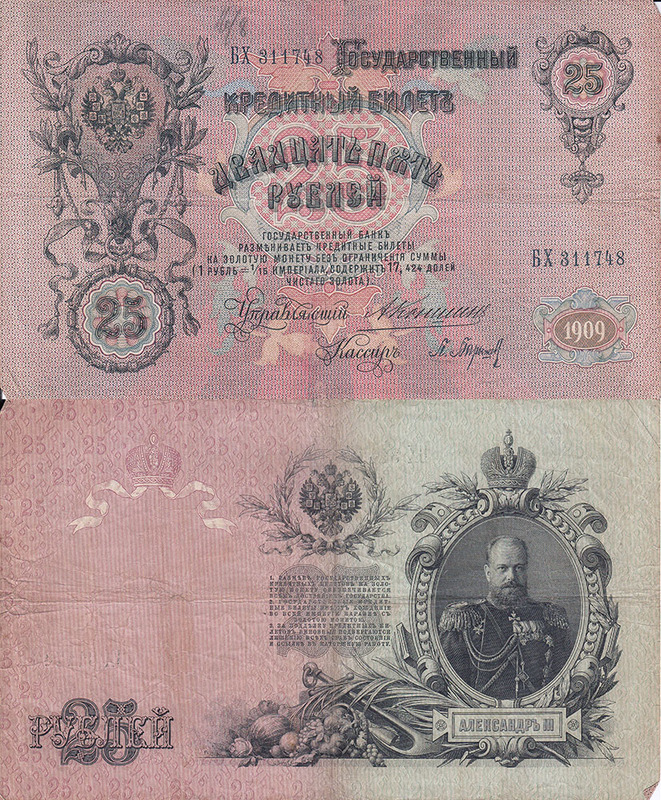 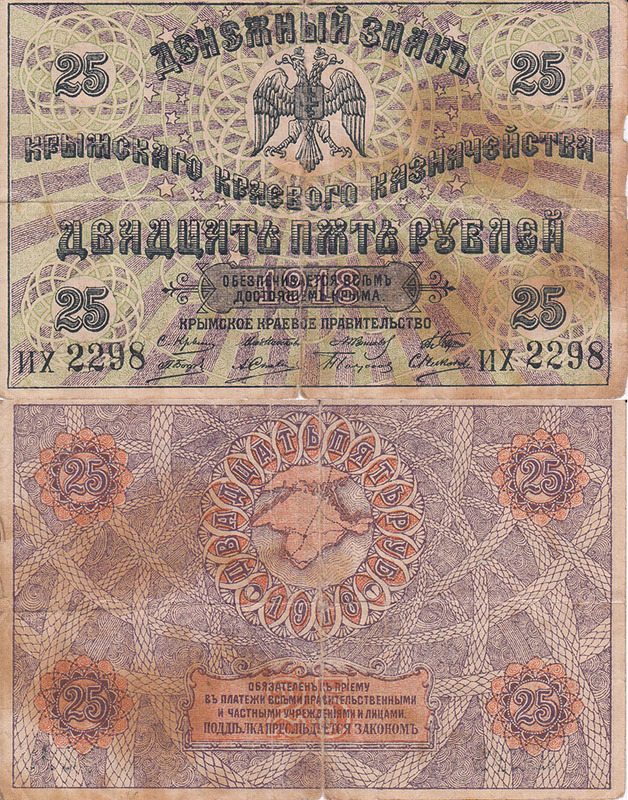 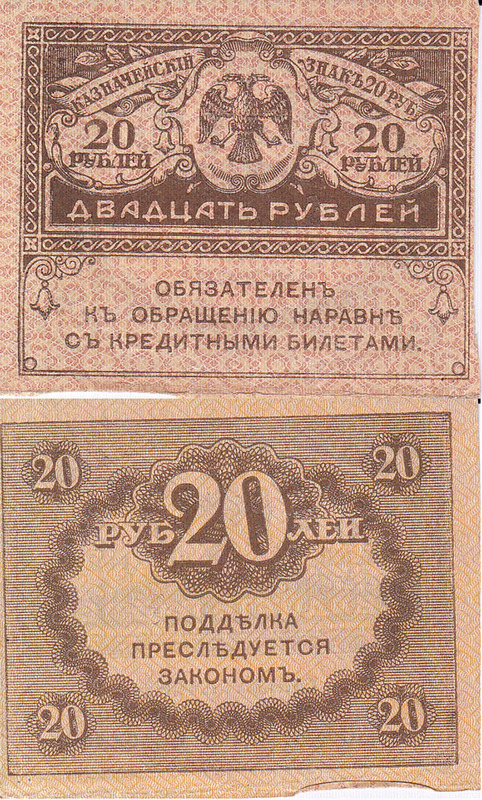 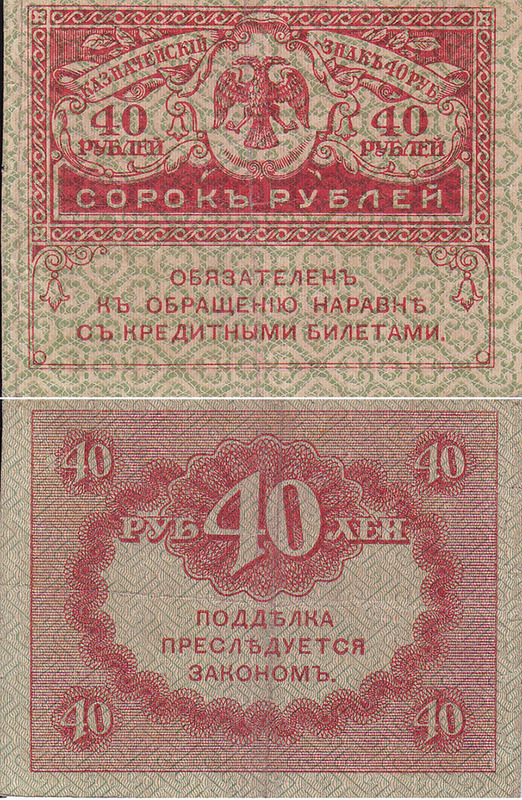 Various paper currency from the early twentieth century, issued before and during the Russian revolution and the following civil war. 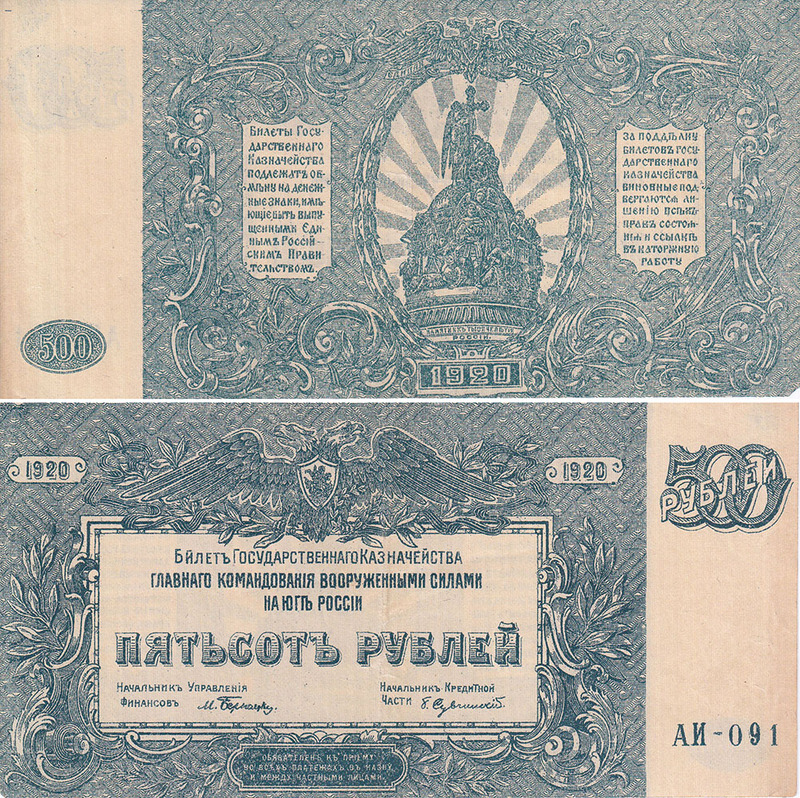 The later money would have been collected by Paul Galtsoff when he was in Sevastopol, Crimea, and is mostly printed by bodies who would have been in power in Southern Russia. 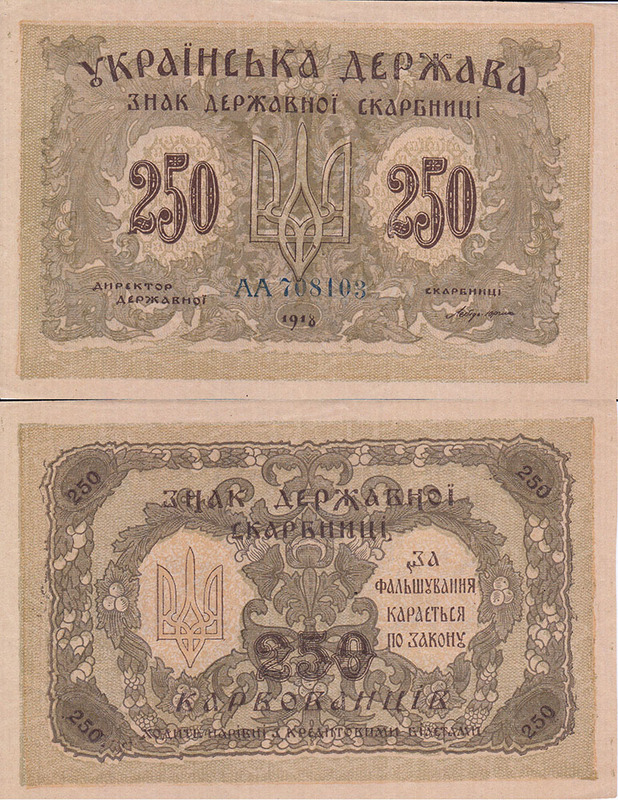 The government bodies printing the money are both permanent, such as the Imperial Russian Government, as well as temporary, such as the Directorate of the Ukrainian People’s Republic and the White Army Armed Forces of South Russia. 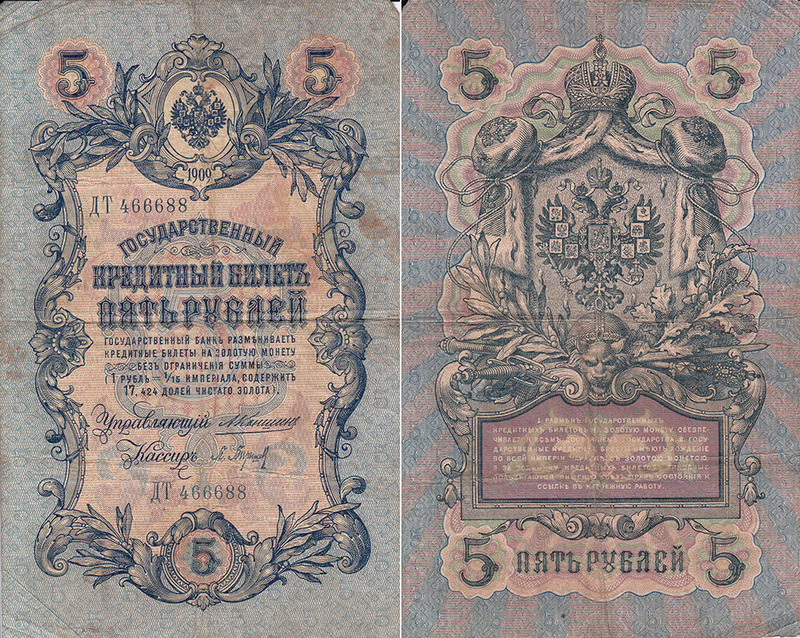 As a whole, the collection of currency tells how power shifted and and inflation rose during the Russian Civil War.